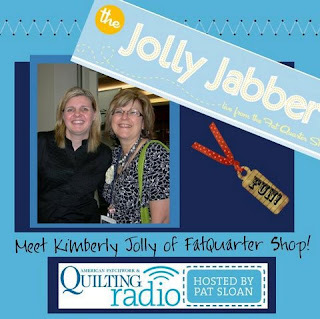 Fat Quarter Shop's Jolly Jabber: Kimberly Jolly: The Radio Star!! Kimberly Jolly: The Radio Star!! 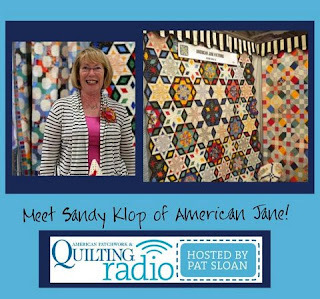 I am so excited to announce that Pat Sloan asked me to be on American Patchwork & Quilting Radio while we were at quilt market. Can you believe that? 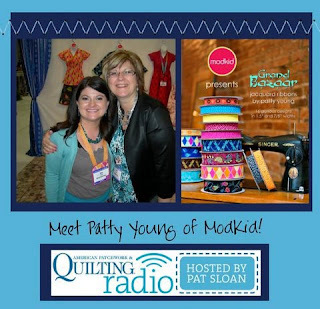 I am just someone who sells fabric on the internet and Pat Sloan is completely famous! I have to tell you I was so nervous to do the interview! But I think in the end I did ok! Pat probably thought I was nuts because I was nervous! So log on today to hear the interview! 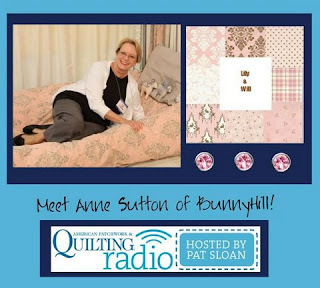 You can also hear Anne Sutton, Sandy Klop & Patty Young.